Very professional and knowledgeable. Didn’t force any shots and gave me other options to work on instead. I’m very pleasedwith my visit. Very professional and knowledgeable. Didn’t force any shots and gave me other options to work on instead. I’m very pleased with my visit. When I check in, I was not found on the schedule or in their computer system. I was seen, however Iwas pushed to the last slot of the day which was 4:30 when my appointment was at 3:00. Dr. Gold was very nice and came up with a plan immediately for treatment so I will return but I was not pleased with my Zocdoc appointment making and before appointment check in. I was emailed confirmation of my appointment and the office had no information about me. Thankfully, after I had driven over 30 minutes to be seen, they did take me. When I check in, I was not found on the schedule or in their computer system. I was seen, however I was pushed to the last slot of the day whichwas 4:30 when my appointment was at 3:00. Dr. Gold was very nice and came up with a plan immediately for treatment so I will return but I was not pleased with my Zocdoc appointment making and before appointment check in. I was emailed confirmation of my appointment and the office had no information about me. Thankfully, after I had driven over 30 minutes to be seen, they did take me. If you’re a new patient, you may be receiving a call from the office prior to your appointment to collect additional information about you. If we’re not able to reach you prior to your appointment, we may have to reschedule! 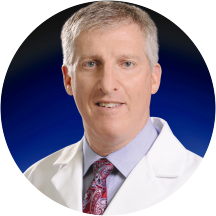 Dr. David Gold is a considerate and diligent orthopedic surgeon serving the community of Baltimore, MD. Dr. Gold attended the University of Maryland, where he received his medical degree, and completed his residency in orthopedic surgery, internship, and fellowship from the same institute. He also completed his fellowship at the University of Pennsylvania. Dr. Gold is a part of MedStar FSMC Orthopaedics. He is certified by the American Board of Orthopaedic Surgery and is affiliated with the MedStar Franklin Square Medical Center, Baltimore, MD. His clinical interests include joint replacement and in addition to hip, knee and shoulder replacements, he also performs fracture care and general orthopedic surgery. Dr. Gold is sensitive to the uniqueness of each patient's situation and adapts his consultations and treatment options appropriately to accommodate individual needs and concerns. hes very thorough & attentive !! It was great, start to finish!! I'd never met Dr Gold before-he's wonderful!!! Good, I complained of knee pain, They took an xray of the knee and I received a cortisone shot to relieve the pain. Besides the fact that I received a great diagnosis, I was treated so kindly and he is so easy to talk to! The office and the staff was wonderful, especially since the appointment made through Zocdoc had not made it to his office. He had to squeeze me in. Dr Gold was courtious and Professional. He took time to explain his diagnosis and I would highly recommend him. This was a great experience...in and out very quickly + very satisfied with treatment and COMPASSION! He was very caring and really nice! DR. GOLD AND HIS STAFF WERE ALL PLEASANT, FRIENDLY AND PROFESSIONAL.